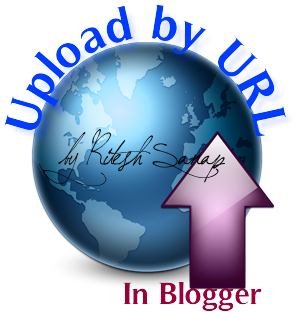 Blogger Is getting better and better day by day. Improvement in its Editor and its new improved templates. But all this things are not enough but blogger lacked in one thing that is it doesn't provide support to upload images by URL (Link). Why Upload Images to Blogger ? 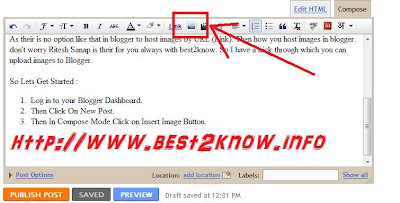 Blogger Gives it users everything free of cost from hosting of the images to the sub-domain.Hosting Images on blogger users tension of getting images deleted or of bandwidth. And Images loads more quickly then any other host or services that provide hosting of images . 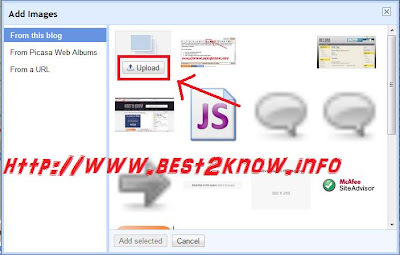 You all now maybe thinking how to upload images by URL (Link). As their is no option like that in blogger to host images by URL (Link). 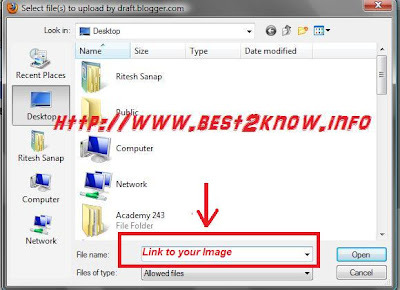 Then how you host images in blogger. 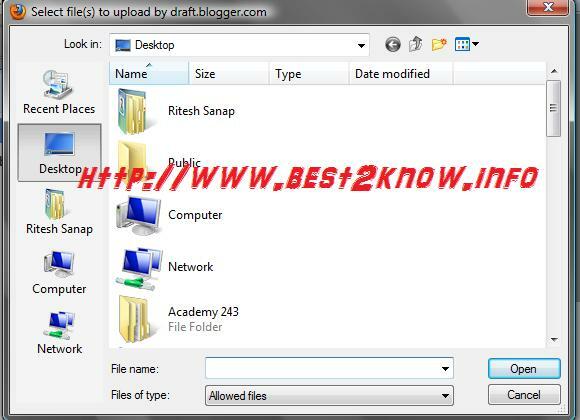 don't worry Ritesh Sanap is their for you always with best2know. 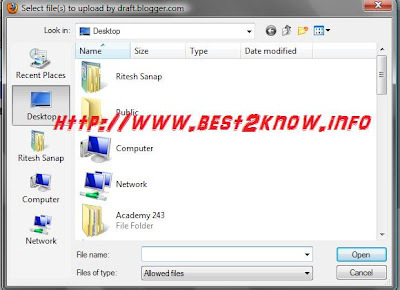 So I have a trick through which you can upload images to Blogger. Then Click On New Post. Then In Compose Mode Click on Insert Image Button. 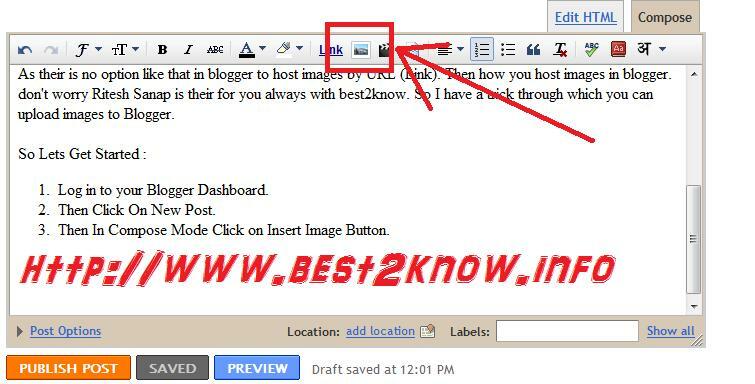 In that Dialog Box add the Link of your image that you want to upload to Blogger. Then Click On Open. Image will get Uploaded and you are done. If you Like This post then Please share it with your Friends and Do Comment.